2004 Spring Training Camp, April, 2004. Hawley Armory, University of Connecticut. 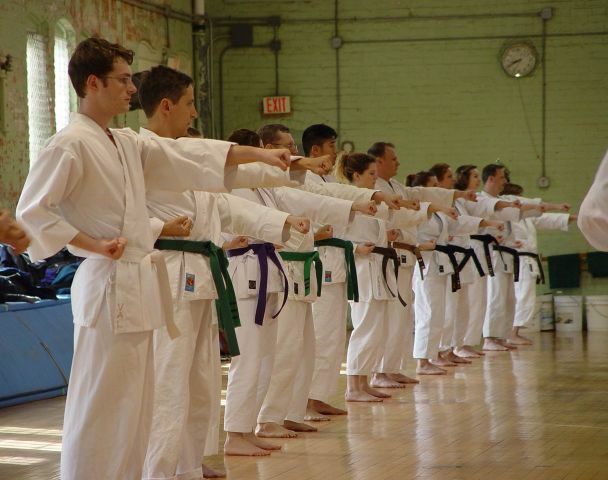 Basics - In the foreground is Val Gorbatyuk. 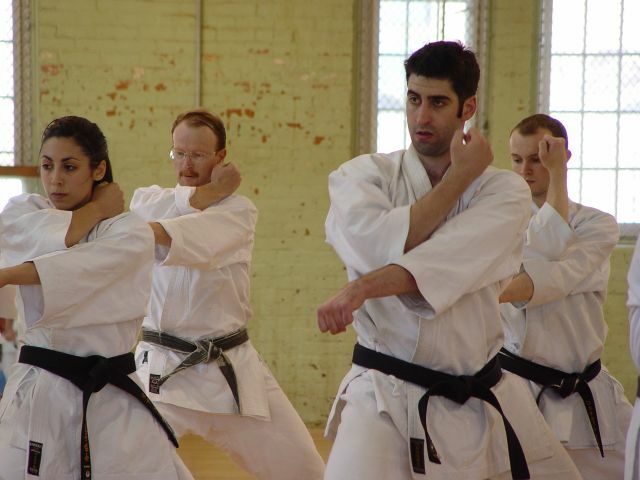 Lia Burnham, Jim Young, Dan Napier and Mike Jacobs practice the kata Nijushiho. 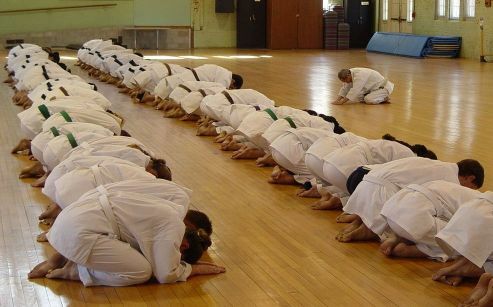 Bowing out with Sensei Mori at the end of practice.